This property qualifies for 100% financing through USDA-NO DONPAYMENT required! Located in Woodside Mill Village, this cute, renovated Mill House will draw you in with its charm. 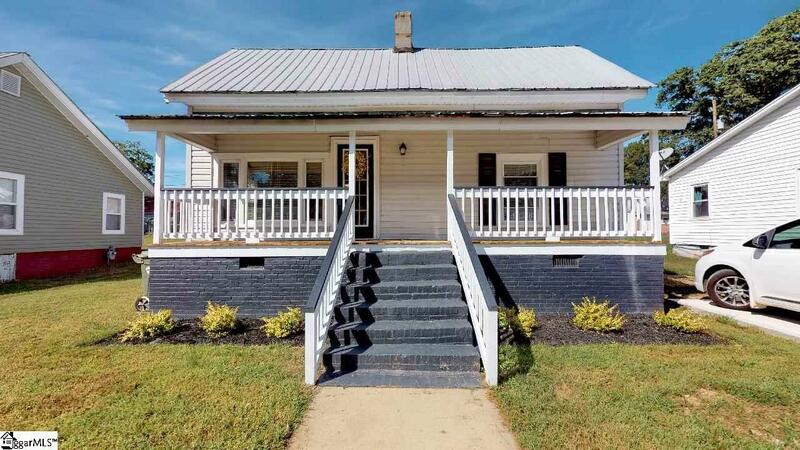 You&apos;ll love it&apos;s expansive front porch, nine foot ceilings in the living room and master bedroom, and its original, refinished hardwood floors. Within walking distance of Downtown Fountain Inn, you&apos;ll be able to take advantage of all the local restaurants and enjoy all the social events, almost without having to leave your home.